In case you were wondering, the Oscars are a popularity contest — and that gives this "A Star Is Born" triple threat a huge advantage. The art of being a movie star includes good timing. Take the American Cinematheque Tribute to Bradley Cooper on Thursday night. These events usually burnish star luster, as in the case of recent recipients Amy Adams, Matt Damon, or Matthew McConaughey. But when such a tribute unfolds at the height of an Oscar campaign, it can move the needle. “A Star Is Born” scored Best Director and Actress at the National Board of Review this week, which reflects the movie’s current status as the frontrunner for Best Picture, Actress, and Actor at awards site Gold Derby. The focus of the evening was designed to elevate Cooper as a director-auteur with heart, and remind everyone that “Coop” is not only a major talent but a really good guy. His “Alias” costar Jennifer Garner told him he was welcome to come over for dinner any time. His childhood friend Brian Klugman (“The Words”) remembered the “dangerously talented” sixth-grade Cooper asking the awkward girl their friends made fun of to dance. His “Elephant Man” costar Patricia Clarkson loved starring opposite him on Broadway, even in her most uncomfortable (naked) scene: “You recreated yourself anew,” she said. The wife and best friend of “American Sniper” subject Chris Kyle testified to his sincerity and honesty. His “Hangover” co-star Zach Galifianakis said they used to hang out in his trailer talking about how much they loved their parents. “A Star Is Born” will take Cooper even farther into Clint Eastwood/Robert Redford territory — unless the Academy Director’s Branch, represented at the tribute by Michael Mann (who supported Cooper early in his career, even while turning him down for roles), sees fit to deny him as they did Ben Affleck the year “Argo” won Best Picture. Sometimes, being too successful can be a liability in the Oscar race. But so far, so good. Of course Cooper’s co-stars are also invested in the Oscar race, although Elliott is still coping with more immediate concerns like his hillside Malibu home, once threatened by fire, now facing possible mudslides after recent rains. Deep-voiced Elliott (without teleprompter) and Lady Gaga (with) also expressed their love and devotion to Cooper. 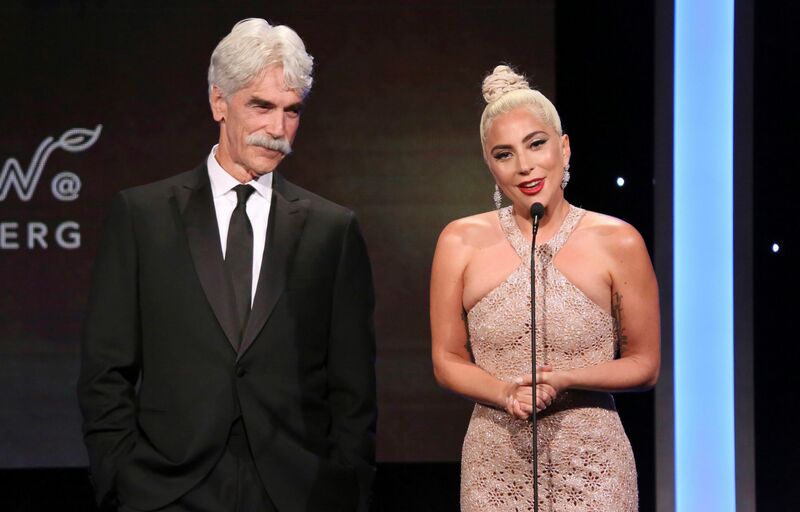 Warner Bros. producer Sue Kroll, a past winner of the annual Sid Grauman Award, pointed out that Dolby technology played a large part in “A Star Is Born” as she presented this year’s award to Dolby Executive Doug Darrow. Cooper used Dolby Atmos to enhance the film’s immersive live-music sequences. Darrow reminded Cooper that he insisted on playing the film in as many Dolby venues as possible, even during previews and at a screening on an island in Italy. Cooper laughed.